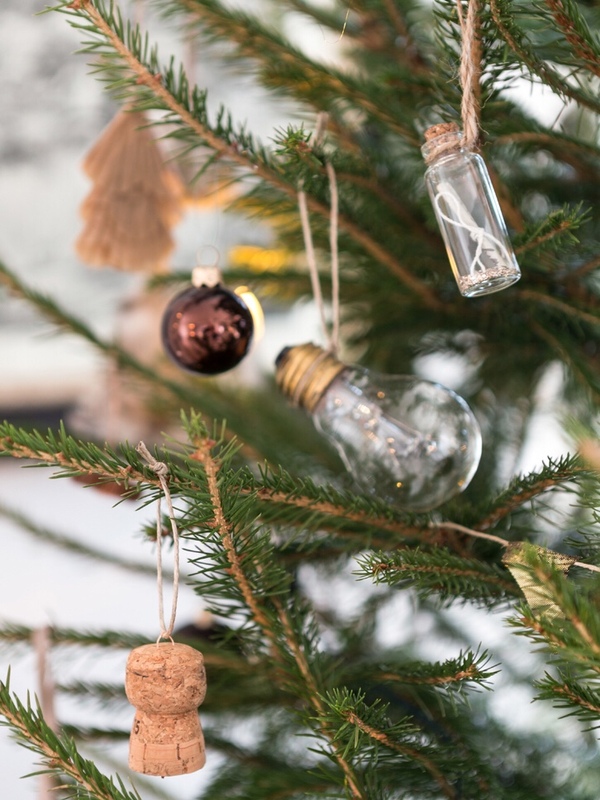 Christmas is coming soon and as every year I would like to give you some ideas for a more sustainable decoration with objects that you already have at home. What is the point in spending money in all these plastic decorations if we can re use materials like paper, cork and glass? All these items that we usually have at home, in our kitchens and that we throw to the rubbish, those ones! You can also re use tree branches that might have fallen on the ground and add it some stars made from cardboard or paper. The ideas can be endless, as long as you recycle and re use things that you already have at home, or in your closest nature, like parks and river sides. 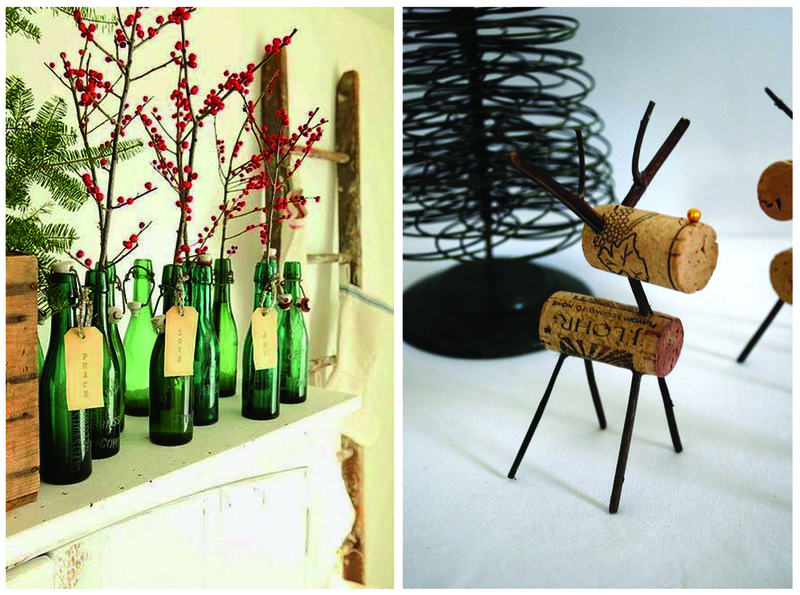 Anything that you can find around you and you think it could be used for a cool decoration would be perfect. 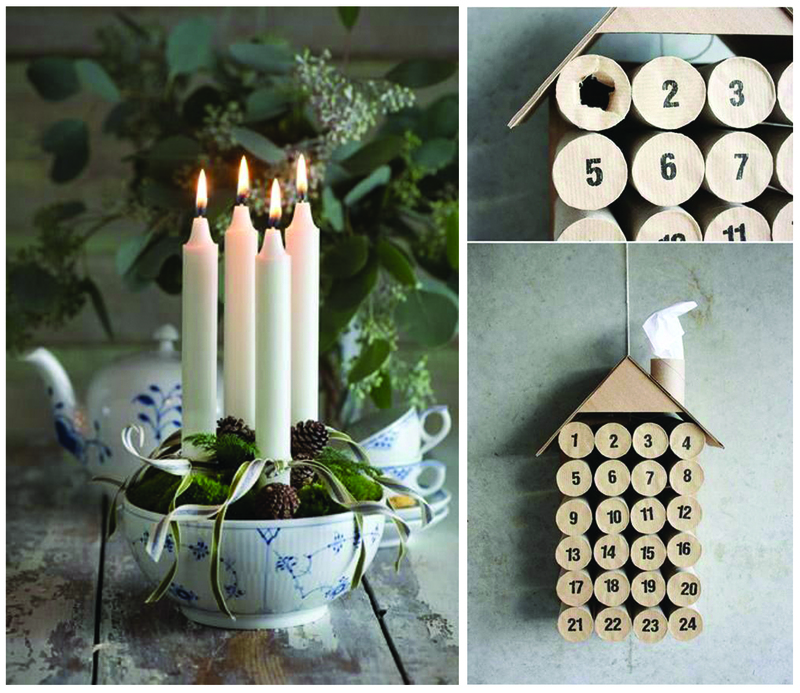 Everyone likes Christmas decorations, what would it be a Christmas without preparing your house for such a cosy event? One of the most expected events of the year as you gather with your family and spend a few hours eating, laughing and having a nice time. For some of us who live abroad, it is a moment full of emotions as you might have seen your family a couple of times in the whole year. All in all, we have transformed Christmas in the highest consumption season of the year, instead of a delightful time to spend with the family. When December comes, we get stressed in order to get ready and buy everything we think we need for Christmas. We should slow down and take things easier. Christmas celebrations should not be tight to over consumption, I guess that this concept will be difficult to change nowadays, but it shouldn’t be impossible if we all do our best to change it eventually. The best thing of using all these kind of materials for decorations is that after Christmas you can still use them for other matters. Candles, glass bottles or jars will be back on your shelves. Some others, like paper rolls will be thrown to the trash of recycled paper to be reborn with another utility. There’s no need to be completely austere when it comes to decoration, the problem is that we tend to buy new things every year, mostly plastic decorations that we use once in Christmas and throw it away the next year. With all these ideas, your home will still have a proper Christmas mood but at the end you would have done something respectful with the environment. With all these ideas, I hope we all have a very sustainable Christmas and try to be as nice to the environment as we will be with each other. At the end of the day, the world is our house. Have a very wonderful day!